From seasonal storms and natural disasters to attacks on our power grid and infrastructure, our power grid has become extremely vulnerable to disruption. Because of how dependent our lives have become on the grid, it’s never been more important to safeguard yourself, your family, and your home from power grid failures. Fortunately, over the last couple of years solar generator technology has really taken off. 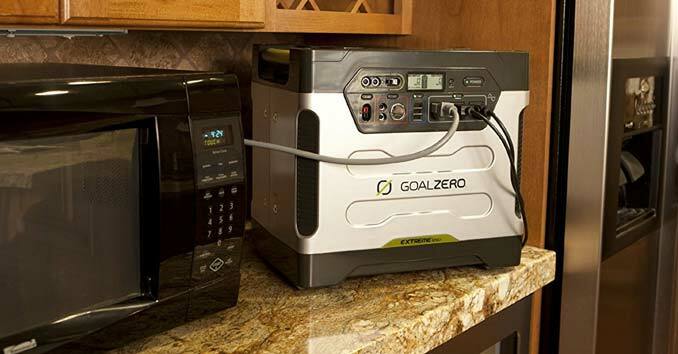 Whether you’re looking for a way to power your home during a long-term power grid disaster or provide some extra juice during a short-term power outage, these solar powered generators and backup packs are some of the best options on the market. These power generators allow you to ditch those loud and dangerous gas powered generators, giving you the peace of mind and security you need during a crisis. Combined with a solar panel, they can provide unlimited backup power. These are not long-term solutions, so if you’re looking to power an entire home or offgrid shelter they’re obviously not the right choice; but if your looking for something to keep you going during a short-term disaster then these units are a great backup plan. That being said, depending on your needs they can keep you going for quite some time and the more you add, the more you can obviously power. 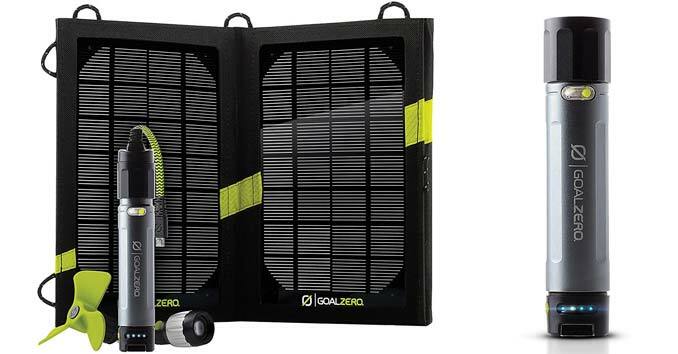 Goal Zero is one of the top portable solar power companies in the world. I’ve been carrying a number of their smaller portable units in my bug out bags for years because I know they are going to work when I need them. Their Yeti 1400 is designed to keep everything from phones and laptops to appliances like small refrigerators and freezers up and running during an emergency. It can be charged from the sun, your wall, or even your vehicle and it stores 1400 watts of power. 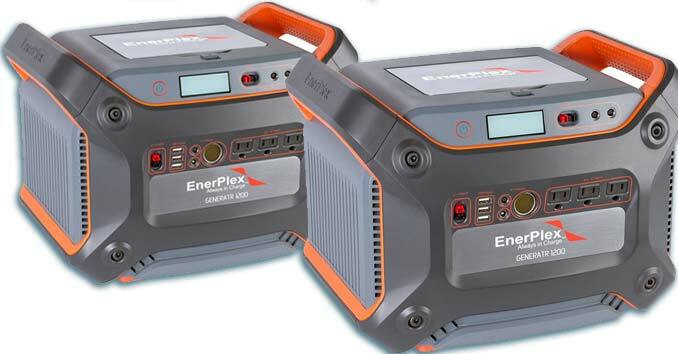 The EnerPlex Generatr 1200 is designed as a lightweight, portable unit for camping, emergency situations, and times when you need portable backup power. It’s small enough to fit in the trunk of a vehicle and has enough power to keep your phones, tablets, laptops, and even chest freezers and small energy efficient refrigerators powered up for days. If you’re looking for something that you can quickly throw in your bugout bags or keep stashed under the seat of your vehicle, these small portable units are the perfect option. The Goal Zero Switch 10 Multi-tool kit is the perfect grab and go power pack. The kit comes with a Replaceable (3,000mAh/11Wh) Lithium Ion Battery, a 7-watt Nomad 7 Solar Panel, and accessories that plug directly into the battery pack like an 110 Lumens flashlight and a lightweight fan. The battery has enough power to fully charge an iPhone, and the panel can recharge the battery pack in about 3.5 hours of sunlight. 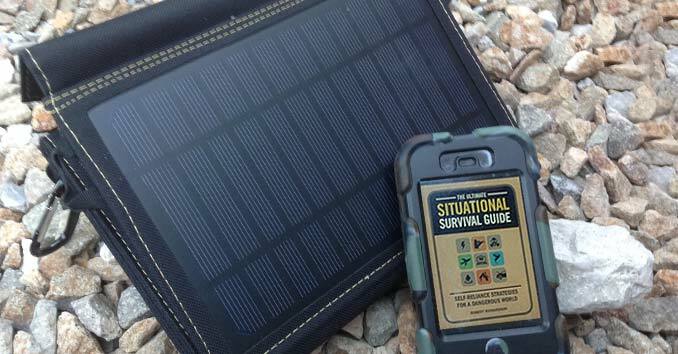 Goal Zero’ Venture 30 Solar Kit comes with an IPX6 weatherproof/waterproof, 7,800mAh power pack that can power phones, tablets and small portable ham radios. With the included Nomad 7 Panels, the pack can be fully charged in 9 hours of full sun. That’s enough power to charge two iPhone 6s about 2.5 times. SunJack’s 20W Panel gives you the juice you need to keep all of your emergency communication gear, phones, tablets and GPS equipment up and running during a grid down situation. Throw in a few SunJack 8000mAh Battery Pack — which usually runs under $30 a piece – and you’ll have enough portable power to charge about eight smartphones with every battery pack. 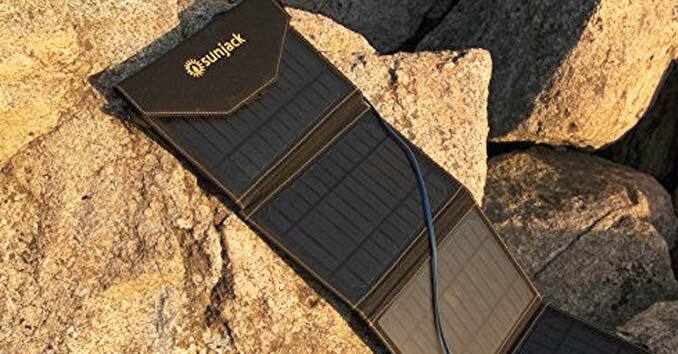 The panels will fully charge SunJack batteries in five hours of direct sun. 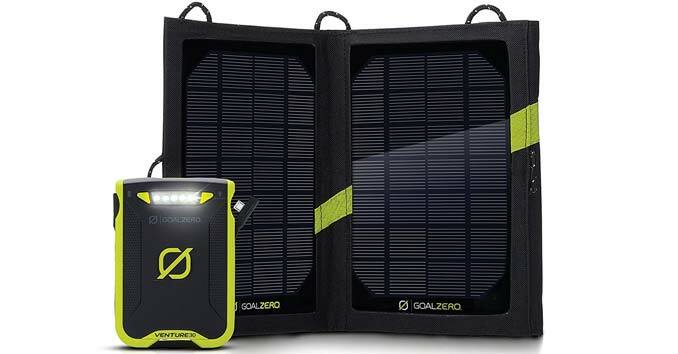 I bought Goal Zero’s Yeti 150 which had a special offer of also receiving two 15 watt Boulder Solar Panels free. Lucky me. Overall,I do feel Goal Zero’s products are overcharged in price for what you get. If you shop around you can get other solar panels and power packs much cheaper. Supposedly the prices are dropping on Solar Panels. Wonder when that will actually happen? Been dealing with Goal Zero for years and have many of their smaller devices. All still function like the day I bought them. I have tried others but find myself constantly shopping with them. Their customer service is above and beyond. Their foldable panels are virtually indestructible. They might be a little more expensive than others but when you think of what the company has done for communities ravaged by Mother Nature, I’d gladly pay a few extra dollars to a company that puts back into the community, not asking for anything in return, than into some corporate faceless company who lines their pockets. Goal Zero cares about their customers and the community. International shipping is a pain to Canada, but still worth it.